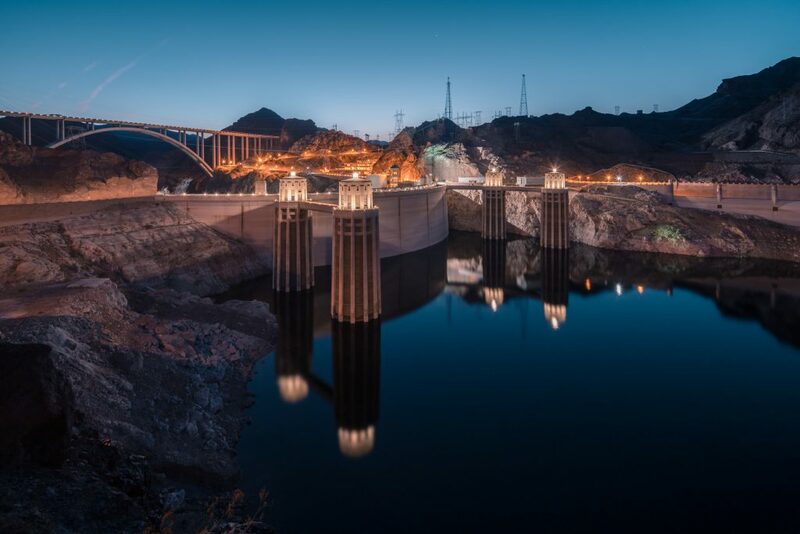 The Hoover Dam - World Rivers Become a Patron! 1931 was a bad year for the United States. The Great Depression was in full effect for over 2 years, leaving a quarter of the population unemployed or with meager personal income. This, in turn, meant that the Government’s tax revenue dwindled and the effects of the famous Black Tuesday crash of the stock exchange were being profoundly felt around the world. 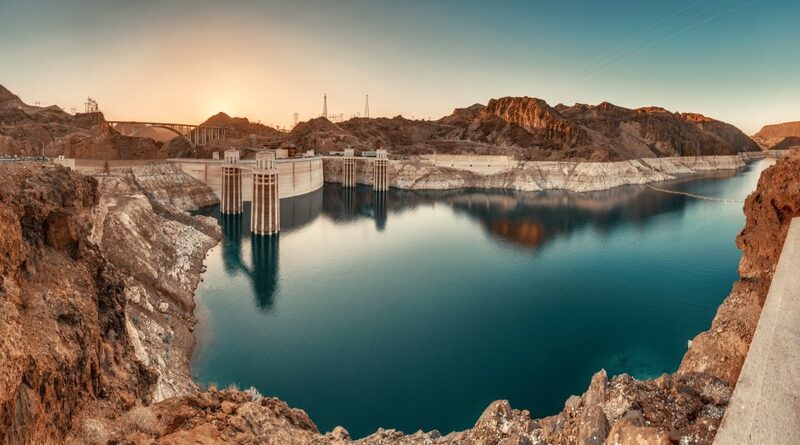 At the same time in the barren landscape on the border between Arizona and Nevada, in a tight canyon carved out by the Colorado River a project, unlike the world, has ever seen was about to begin its construction. 10 years in the making, the time has come to turn plans and drawings into reality: this will be the place where the worlds largest concrete dam will rein in the power of nature. The reasoning behind such a vast undertaking was simple – the dam would put the wild rapids and unpredictable flow of Colorado River under control, it’s reservoir would hold a precious reserve of water for agricultural irrigation and it would generate clean electricity with its massive hydro generators. But a cloud of worry hanged over the project after the catastrophic disaster at St. Francis Damn which killed almost 600 people in a flood, so after battling the Congress for approval, the interstate compact composed of California, Nevada, Arizona, Utah, New Mexico, Colorado, and Wyoming finally got the green light – with a clear warning that whichever the dam was to be built in the Black Canyon, it should be constructed on ultra-conservative lines. And the final design reflects this very clearly: the dam was to be 200m thick at the bottom and 14 m at the top, enough for a 2 lane road and pedestrian paths along both sides. While it may seem counterintuitive to start such a massive project in times of great economic distress, the Great Depression actually worked in favor of the construction. Upon hearing about the project, tens of thousands of unemployed workers converged onto the site of purpose-built Boulder City to look for jobs. Many brought their families with them, and soon the population of the city exploded to the point where there was no housing and no work for all of the new residents. Cheap labor was in abundance and thousands of workers were willing to endure extremely the hot weather in Black Canyon, with temperatures reaching as high as 49°C. For the 3000 initial workers, the construction site was hell on earth. In just a single summer month of 1931 sixteen workers died of heatstroke. By the end of the construction, it’s estimated that almost 200 workers killed on the site. In a sense, this monolithic concrete structure is also a tomb for those who fell to their death or suffocated in unbearable conditions while digging the two spillway tunnels. 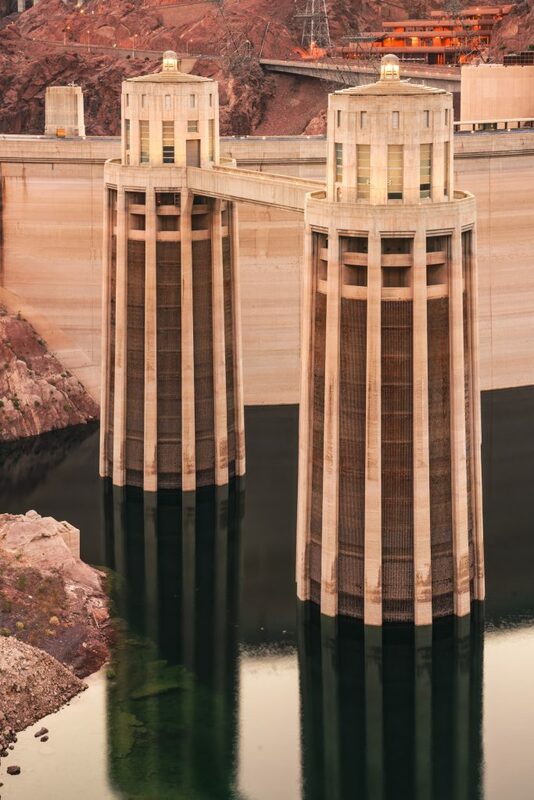 In 1935, President Franklin D. Roosevelt dedicated the impressive dam, ending the decades-long battle against the Colorado River. After some initial controversy, it was finally settled to name the dam in honor of Herbert Hoover, the sitting president at the time when the construction began. Today the Hoover dam is one of the most famous tourist attractions in the USA, bringing in over a million visitors every year. This is by no means a coincidence – it was planned to be a tourist site from the very start, and even today, with all the security concerns taken into consideration, it is still possible to drive across the top of the dam with your own car and enjoy the incredible views. 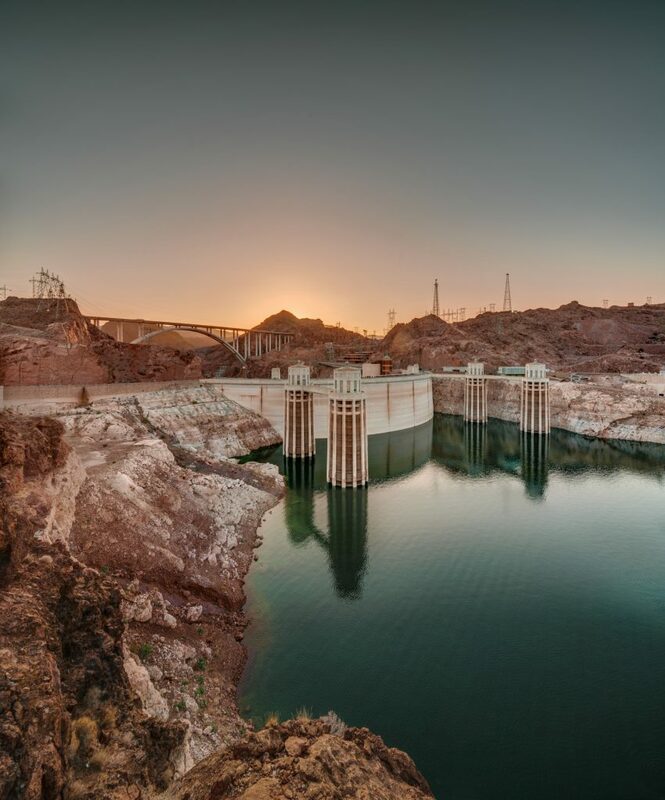 The site is especially attractive right after the harsh sun dips below the horizon and you can watch as one by one of it’s water intakes turn on and start pumping the power needed to light up the whole Las Vegas extragavanza. With all the positive effects the Hoover Dam has had on the Nevada and Arizona, it’s easy to overlook the big problem looming over it. 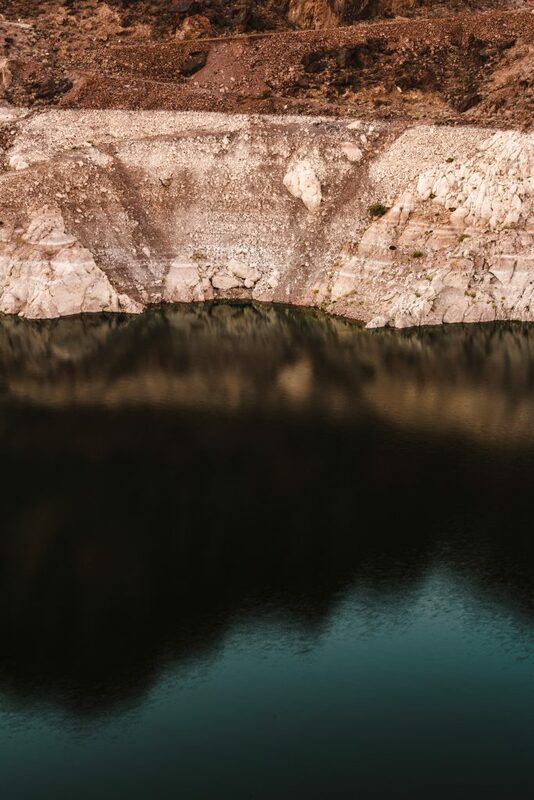 A bright white line, over 20 meters tall, marks the spot where once the top of the Lake Mead was. The mighty Colorado River is not filling up the lake as it used to and the last time the water level was this low was when the lake was first filled. Perhaps the final strike still belongs to nature. Mario Romulić and Dražen Stojčić are leading photographers and videographers in Croatia. Follow them on their Facebook page.